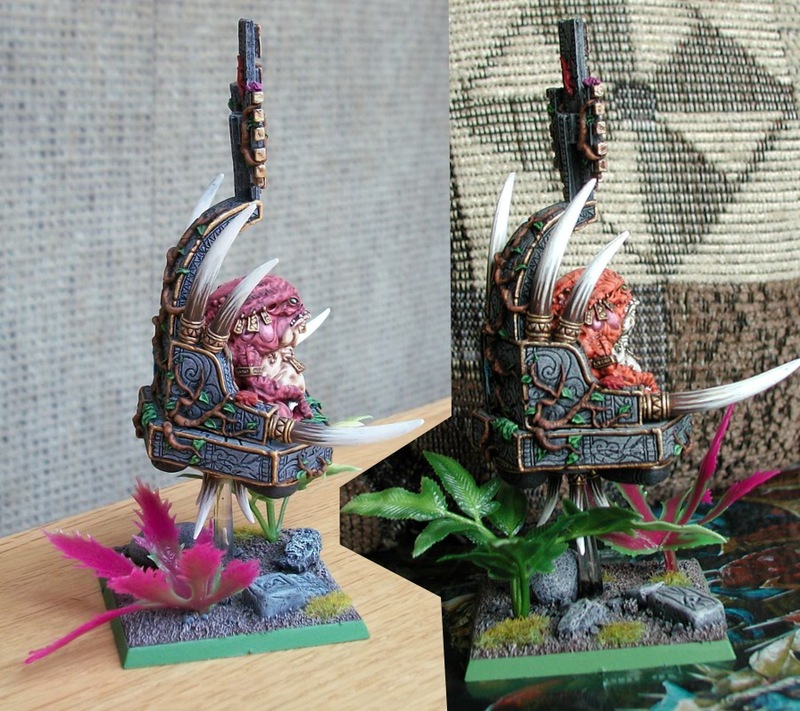 Once upon, back in 2005, I had a guy who wanted me to paint up a Slann for him. Generally, I don't do commission work. Painting is my hobby, not my job. I like to keep that distinction, since I want to continue to enjoy painting models. 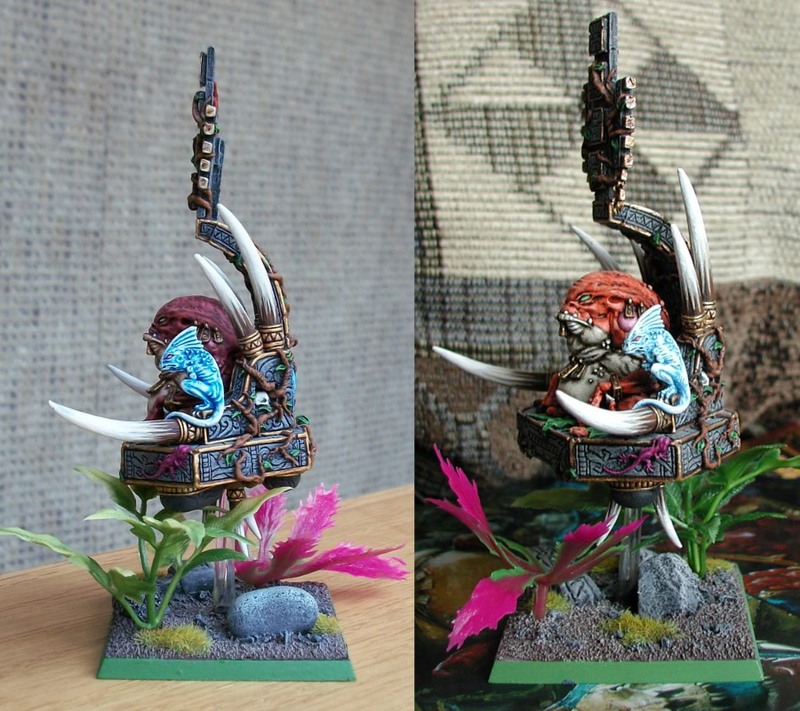 I also like to keep all the models I paint, and have except for 3 rare cases. It's like a historic showcase of my painting, and how my skills have grown over time. In this situation, I decided to paint the model up for the guy. I also decided to paint one up in parallel for myself, to ease the pain of having to give one away. 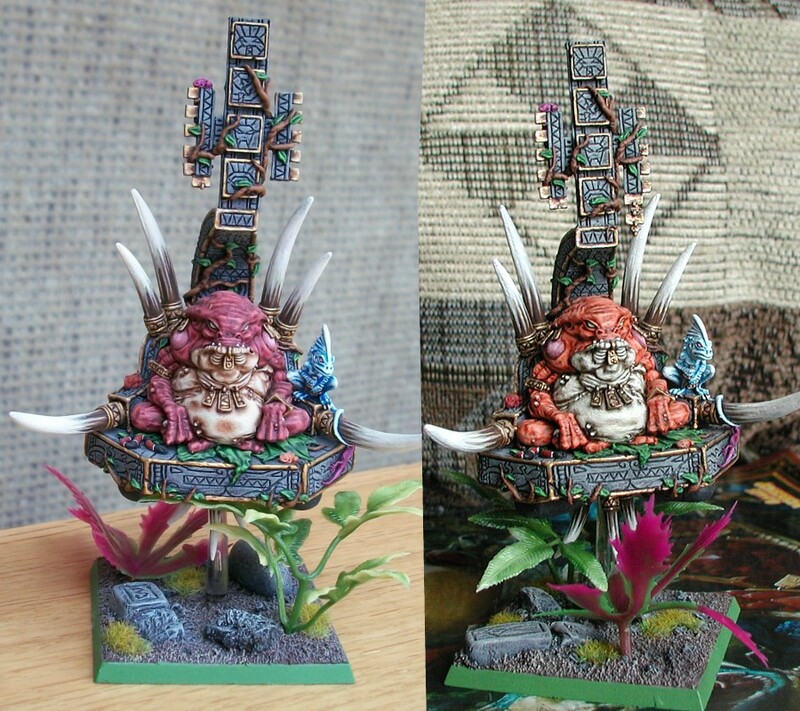 The client wanted an orange Slann. I decided to go with red for myself. Pretty much everything else on the models was painted exactly the same. 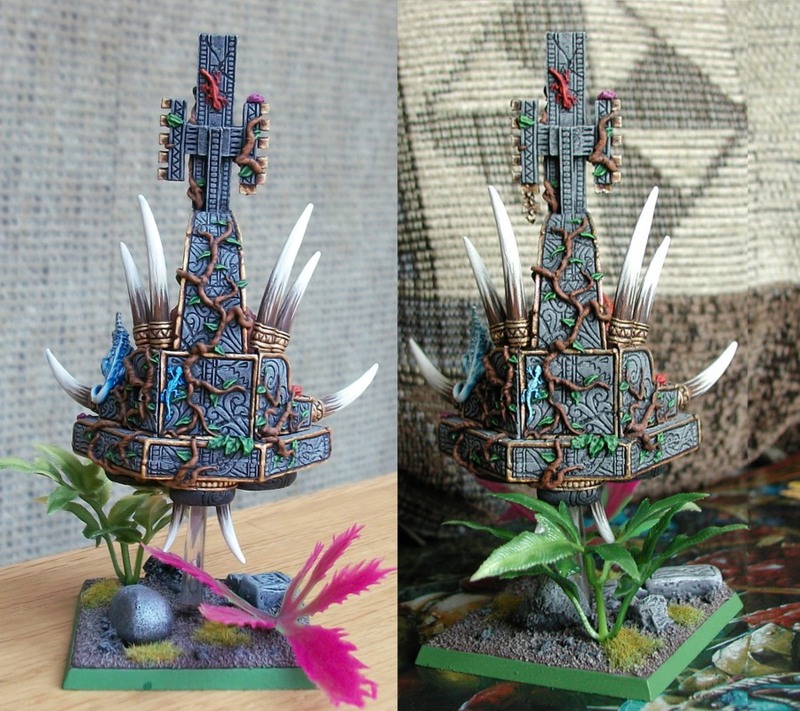 For the bases, I made some custom smashed up Lizardmen totems for each. That was made out of ApoxieSculpt. The plants are just some plastic aquarium plants, left over from when I had a few pet snakes. These models were built before I realized how much better bases look when you build up some texture on them with ApoxieSculpt, hence the super flat looking bases. 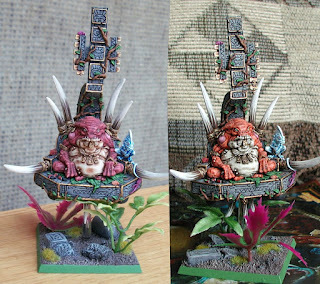 The skin on the red Slann was done with Scab Red, old school shiny GW Flesh Ink (man I loved those old inks), then Scab Red highlighted up with Dwarf Flesh. It makes for a great realistic flesh tone. The orange Slann skin was done with Fiery Orange, Flesh Ink, then Fiery Orange highlighted up with Bleached Bone. I think they both turned out pretty decent. Were I to paint them up today, I know they'd look a far cry better though. The red one is still chillin' in my display case, and I'm not sure if the original client still has the orange one or not.